The delegation of over 200 business executives may meet Xi Jinping. There are signs of an emerging thaw in China-Japan relations. As Clint noted last week, there’s been noticeable decline in incidents over the disputed Senkaku/Diaoyu Islands — the major flashpoint between the two countries. Additionally, Beijing decided to invite senior Japanese defense leaders to a new defense forum it is hosting later this year. This is significant because high-level diplomatic contacts between diplomats and defense officials from these two countries were nearly non-existent for a period of 1.5 years. 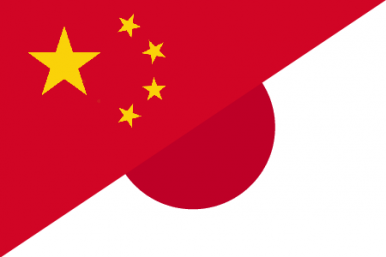 A trip by a large Japanese business delegation to China this week further supports the notion that China and Japan are perhaps looking to return their bilateral rapport to a working relationship. The group consists of over 200 senior Japanese business executives, the largest ever Japanese delegation of this sort to visit China. These trips, organized by the Japan-China Economic Association, have taken place annual since 1975 and since 2000, Japanese business executives have generally met either the president or the premier of China. This trend stopped in 2010. According to Channel News Asia, the group may meet with Chinese President Xi Jinping or Premier Li Keqiang this time around. “We are requesting meetings with Chinese President Xi Jinping and Prime Minister Li Keqiang, but we’ve not received a response yet,” notes Fujio Cho, honorary chairman of Toyota Motor corporation. The business delegation will be in China until Thursday and will primarily focus on proposing “measures to reinvigorate Japanese investment in China that has fallen sharply since the two countries’ relations deteriorated” in September 2012. While this trip is a positive development in Japan-China relations, it does little to address the fundamental problems keeping the two countries from returning to a normal bilateral state of affairs. In particular, the government in Beijing is deeply skeptical of Japanese Prime Minister Shinzo Abe’s national agenda. Abe’s decision to visit Yasukuni Shrine, where several Japanese class-A war criminals are enshrined, and his decision to pass a resolution reinterpreting Japan’s constitutional ban on self-defense contribute to Chinese perceptions that Abe is setting out to actively counter China by re-militarizing Japan. The dispute over the Senkaku/Diaoyu Islands has festered in this context. Regardless of the considerable gap that remains between the two countries, recent developments represent a sizable uptick in positive bilateral interaction between Northeast Asia’s two largest economies, and could be leading up to a historic meeting between Xi Jinping and Shinzo Abe on the sideline’s of this year’s Asia-Pacific Economic Cooperation (APEC) summit. Abe and Xi have yet to interact in a formal bilateral setting though the two men did shake hands briefly at last year’s APEC summit. We won’t know for certain if a Xi-Abe meeting is on the books for some time, but if this Japanese delegation does manage to meet either Li or Xi, that’ll surely be a positive sign. Is This a True Thaw in Sino-Japanese Relations? Behind the immediate diplomatic détente, distrust and trust in Sino-Japanese relations remain two sides of the same coin.